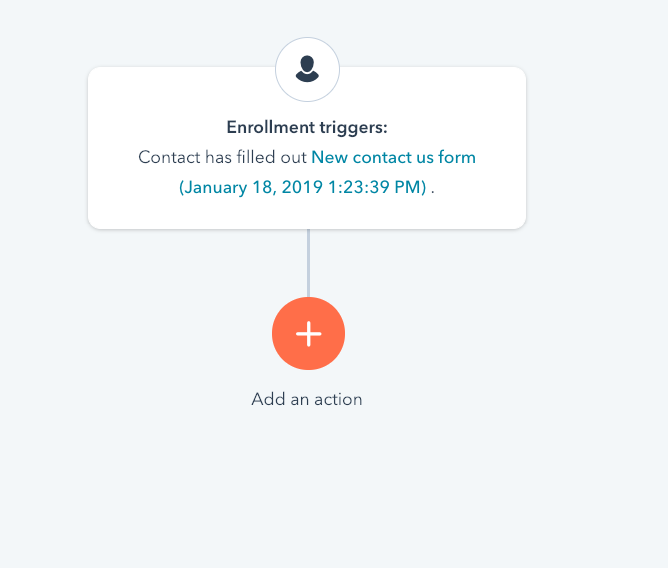 In this support article we'll walk through how to create a HubSpot workflow that will automatically trigger a text message template response when a HubSpot contact form is completed. 7. 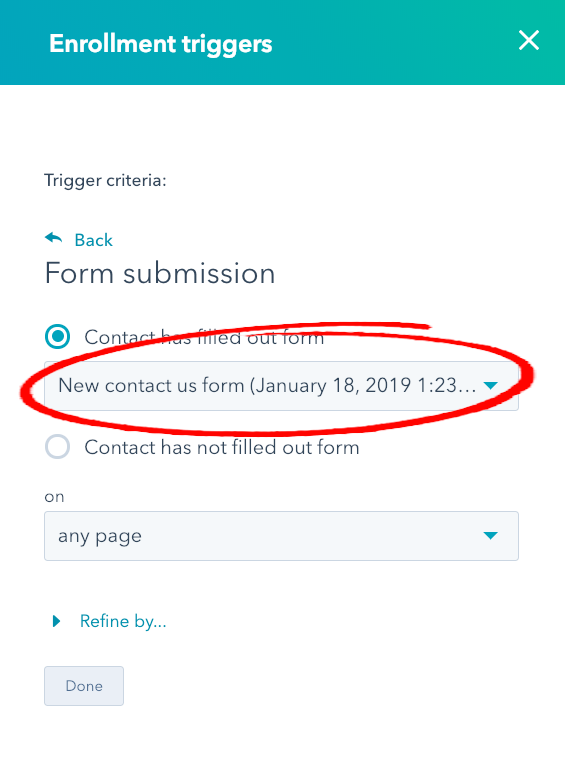 Select your form name from the "Contact has filled out form" pulldown. 9. Select both checkboxes. 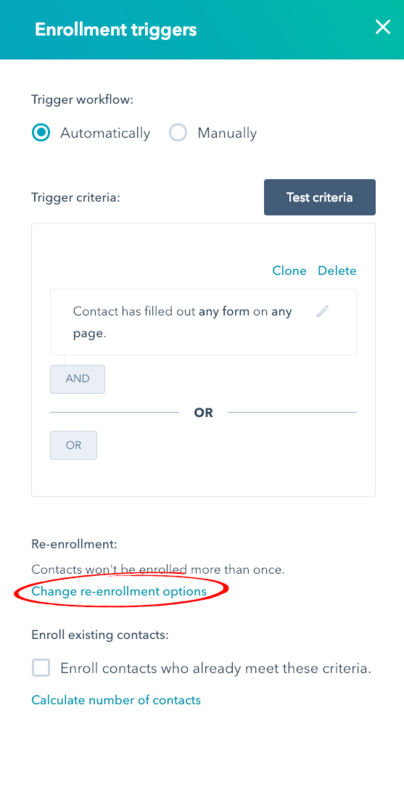 This will allow contacts to be re-enrolled whenever they fill out a new form. 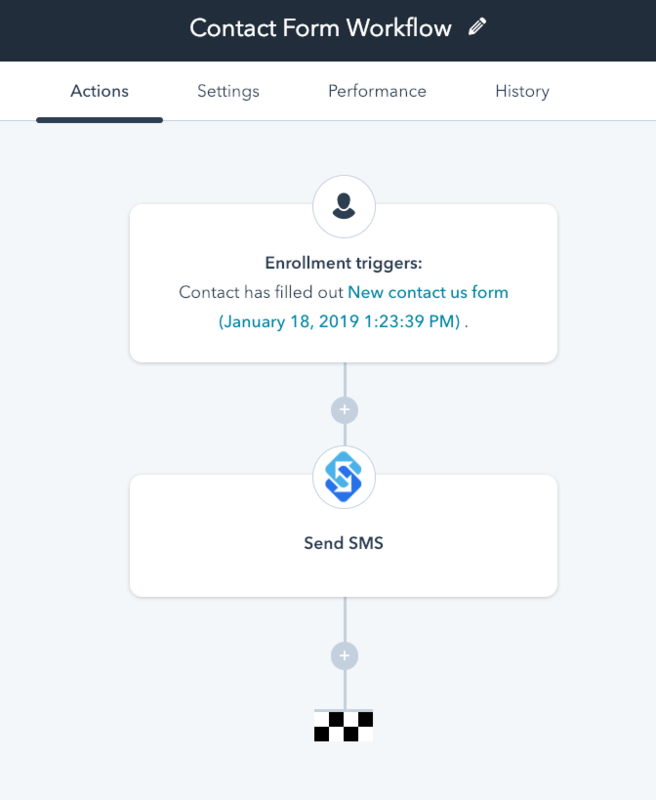 For example, a contact may have completed a contact form before, you still want them to receive the message "We'll be in touch with you shortly." Click "Save" to complete the trigger. 10. 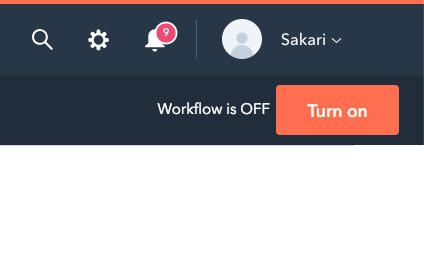 You now should have a workflow that looks like this. 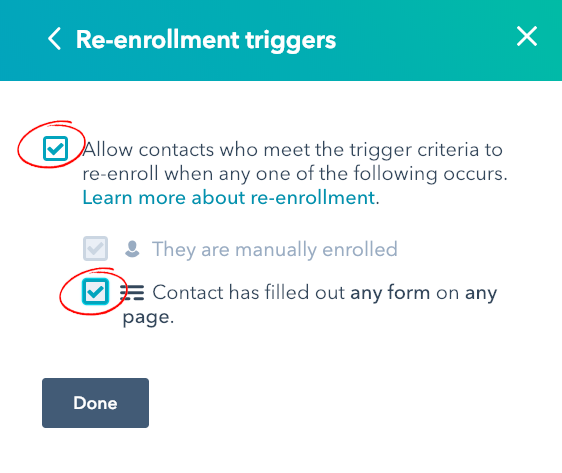 Your enrollment trigger of the website form is completed, now you need to add an action. 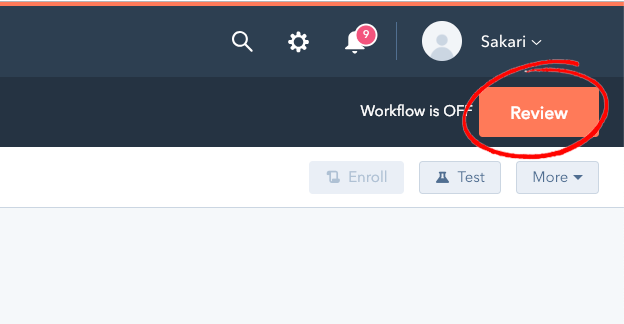 Click the orange "+" sign to add an action. 11. Choose your action trigger. 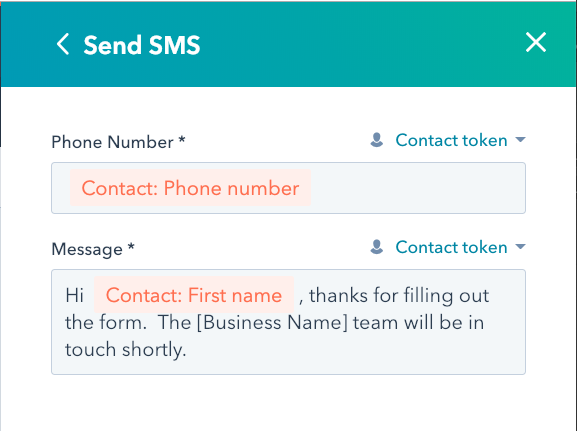 In this example scroll all the way to the bottom and select "Send SMS." 12. Now we'll create our message. We need to populate the phone number the text message will be sent to as well as the message that will be sent. 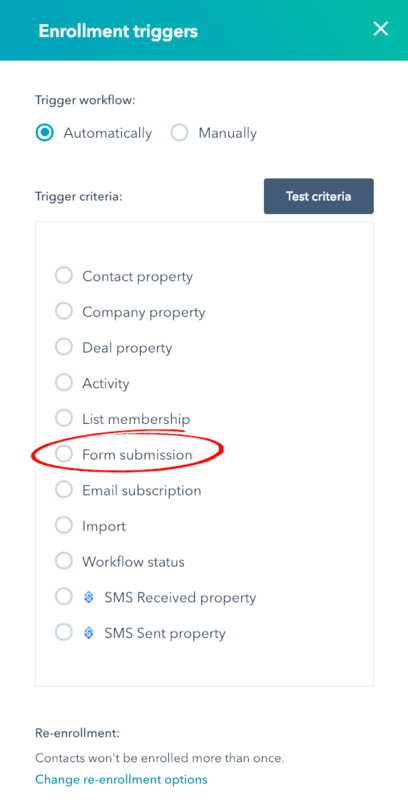 Phone Number - this will either be the "Phone Number" field or the "Mobile Phone Number" field depending on what field you've included in your contact form. Click the "Contact token" link to select your preferred field. Message - this can either be hardcoded (e.g. "Thanks for completing the form...") or you can include known contact variable, like names. To add variables click the "Contact token" link. 14. 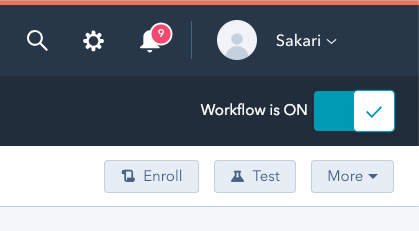 Now we need to give our workflow a name. Click the pencil icon to the right of the name (in the black band). 15. Now we'll turn on our workflow by clicking the "Review" button in the top right. 16. Review all of the settings and click the "Turn on" button in the top right when you're ready. 17. You're done. 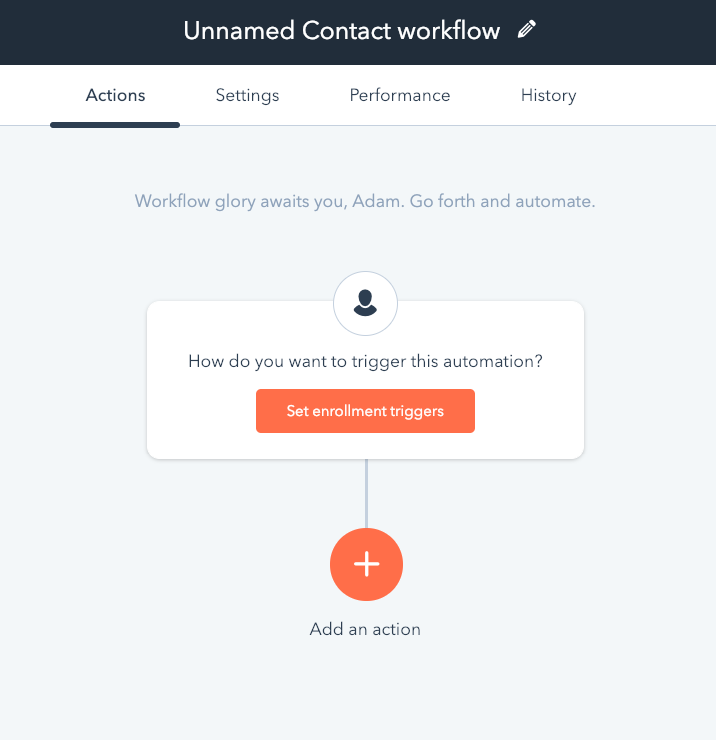 Your new workflow is now live!